Scientific blunder in DeWitt interview? Fig. 2 from Nobel Prize press release, ref. 2. The KcsA K+ channel. Fully or partially hydrated potassium ions (blue) are seen just below and above the selectivity filter. In the selectivity filter, potassium ions are coordinated by oxygen atoms (black) in the protein backbone. The channel is closed by a gate in the lower part(arrows). The gate can be opened by sensor domains (not shown) that pull the gate open. This week’s main feedback comes from one of our most persistent critics, Richard M. from the USA, who has a doctorate in biology. He thinks that an error in ionic chemistry was made in our interview with neurologist Dr David DeWitt. 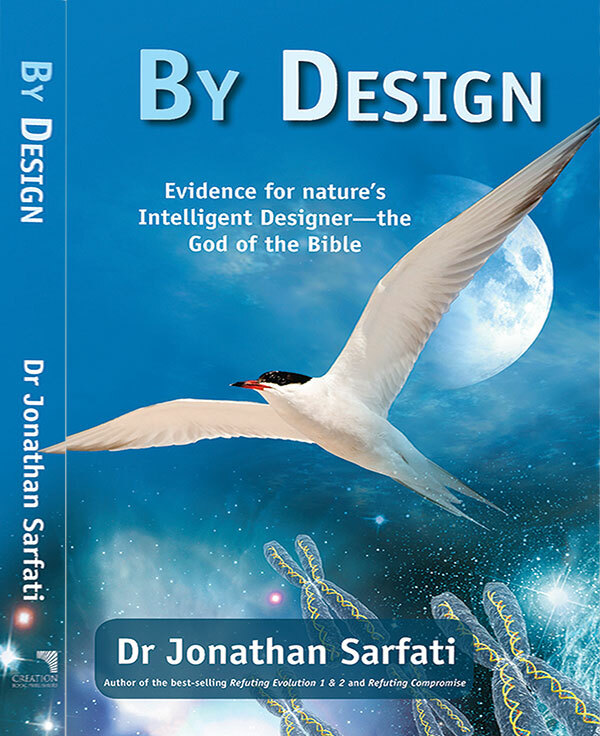 The interviewer, Ph.D. chemist Dr Jonathan Sarfati shows the truth of the matter. This interaction illustrates an important point: critics of biblical creation can sometimes present a critique that seems impressive with its scientific-sounding detail. However, even when you think this is clear-cut case for which there is no possible answer, it is essential to hear the other side. As the Bible says in Proverbs 18:17, The one who states his case first seems right, until the other comes and examines him. That is, a good rule of thumb is: the biblioskeptic is always wrong. We also publish a short positive feedback below from a university biology student, Nicholas P, USA, thanking this site for providing good answers to the evolutionary propaganda in his courses. Just a quick observation on one of Dr. DeWitt’s points. He holds up the selectivity of one of the several potassium ion channels (he doesn’t say which of the many) as an example of the inadequacy of natural selection, citing an ionic selectivity for a large ion (K+) versus that of a smaller ion (Na+), a situation that he obviously considers anomalous. He has gotten the story backwards – what matters in aqueous solution is the hydrated radius of the ion, not the atomic radius. The hydrated radius for K+ is 0.53 nm, while that for Na+ is 0.79 nm. So sodium is actually the larger ion functionally, as has been known for years, and the channel selectivity mirrors this fact. There is a very large literature on this subject, and it is an example of a situation where the basics of the chemistry and physics provide a completely adequate explanation for a phenomenon. If one is going to try to advance an argument on the basis of “gee whiz” assertions, one should be sure of the facts. Flimsy arguments weaken a case when the audience is aware of their flaws. You are certainly right that the trend in hydrated ion size is often the reverse of the plain ion size: the smaller ion has a stronger electric field (from Coulomb’s inverse square law), so it attracts a bigger hydration shell. This means it has a lower mobility in water (see for example this page), i.e. in ordinary aqueous chemistry. Dr DeWitt was correct to state that the sodium ion is smaller in the relevant conditions of ion transport across membranes. Thus Dr DeWitt was correct to state that the sodium ion is smaller in the relevant conditions of ion transport across membranes. Thanks, Dr. Sarfati, for keeping both of us honest. But my gut feeling is that Dr. DeWitt was not thinking along the lines of your answer when he listed the phenomenon as an evidence of design. As you so rightly pointed out, the selectivity has its basis firmly within the confines of “naturalistic” science (as you would term it). I can’t see how it is an evidence of special design — it is no more miraculous than the H-O-H bond angle in water (which has also been touted as an evidence of special design). Thanks Dr M. I don’t know what lines Dr DeWitt was thinking on either. All we can go by is what he said, and as shown, it was accurate. I think my computer works by naturalistic lines too, and its workings are totally explained by the properties of doped semiconductors etc. But it doesn’t follow that its hardware and software originated naturalistically. I can’t thank you enough for the work you are doing to expose the truth in science. I have battled with the evolution vs. creation controversy for months in my university biology classes. As a student, I felt intimidated by the evolutionists and what they presented as ‘evidence’ for evolution. After feeling particularly discouraged one day, I came across your site. The materials and information you provided through your site encouraged and strengthened my heart. I hope one day others like myself will be encouraged the same way I was when I came across your ministry. It is truly a blessing to have real scientists defend the Word of God with real science. 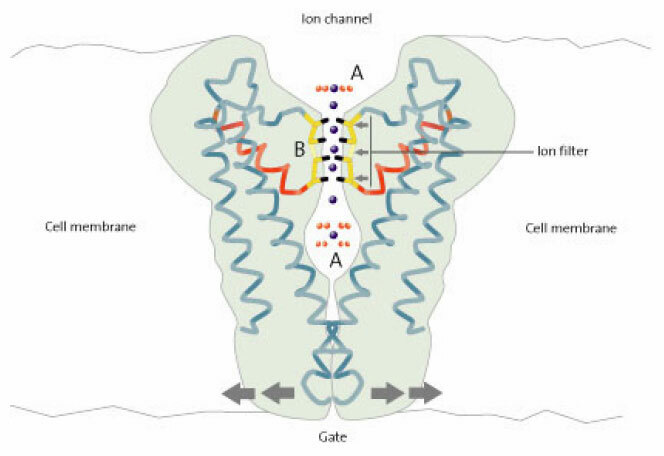 Zhou, Y., João H. Morais-Cabral, J.H., Kaufman, A., and MacKinnon, R., Chemistry of ion coordination and hydration revealed by a K+ channel Fab complex at 2.0 Å resolution, Nature 414:43–48, 1 November 2001 | doi:10.1038/35102009. Return to text. Nobel Prize for Chemistry, 2003, ‘Advanced Information’ press release. Return to text. Clark, O.B. et al., Domain Reorientation and Rotation of an Intracellular Assembly Regulate Conduction in Kir Potassium Channels, Cell 141(6):1018–1029, 3 June 2010. See also Sherwin, F., Cells: Sophisticated and God-Designed, Acts & Facts 39(8):17, 2010. Return to text.